The Snorkel UL40 is the largest personnel lift in the range. 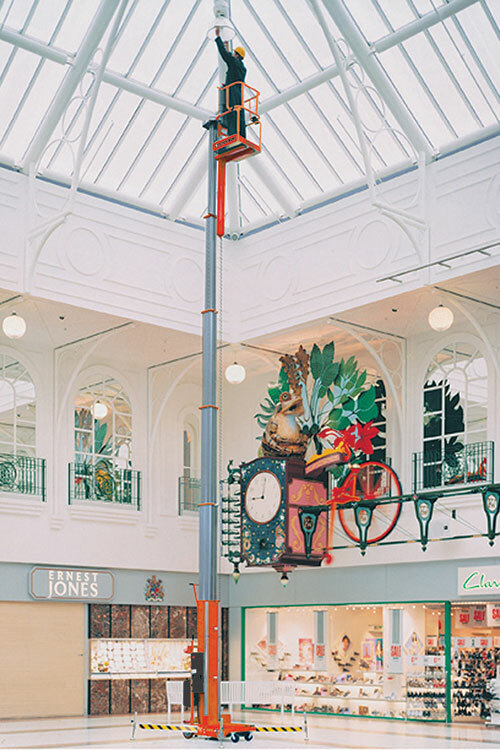 This robust push-around mast lift, safely lifts one person plus tools to a working height of 14.1m. The lift can be easily pushed into position, and can pass through standard doorways thanks to its innovative tilt-back system. The patented ‘Girder Lock’ telescopic mast design provides a very stable platform, even at full elevation. The UL40 is ideal for interior maintenance, particularly in sports hall, auditoriums, atriums and shopping malls.